A Versatile Volume Pedal with no in-line power required! Take your solos to the limit and kick up those chorus's with a volume pedal that can offer you the dynamics of a pro. Not only suitable for guitarists, this pedal can be useful all musicians and DJ's. You can have complete control over your volume even when both hands are busy. 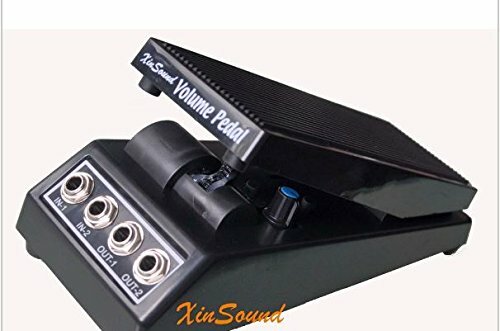 If you have any questions about this product by Xin Sound, contact us by completing and submitting the form below. If you are looking for a specif part number, please include it with your message.